TRYON, NC, USA – August 23, 2018 – The World Equine Expo™, hosted September 11-23, 2018 alongside the FEI World Equestrian Games™ Tryon 2018 (WEG) at Tryon International Equestrian Center (TIEC), is set to host an abundance of diverse programming including a highlight piece featuring the Equus Film Festival, presented by the Mustang Leadership Partners, LLC. Access to the World Equine Expo™ and all programming is included with any WEG competition ticket, but Grounds Passes, which offer access to the general public facility grounds, can be purchased individually at www.Tryon2018.com for $20 per adult and $10 for children 3-12-years-old, with free admission for children 2-years-old and younger. 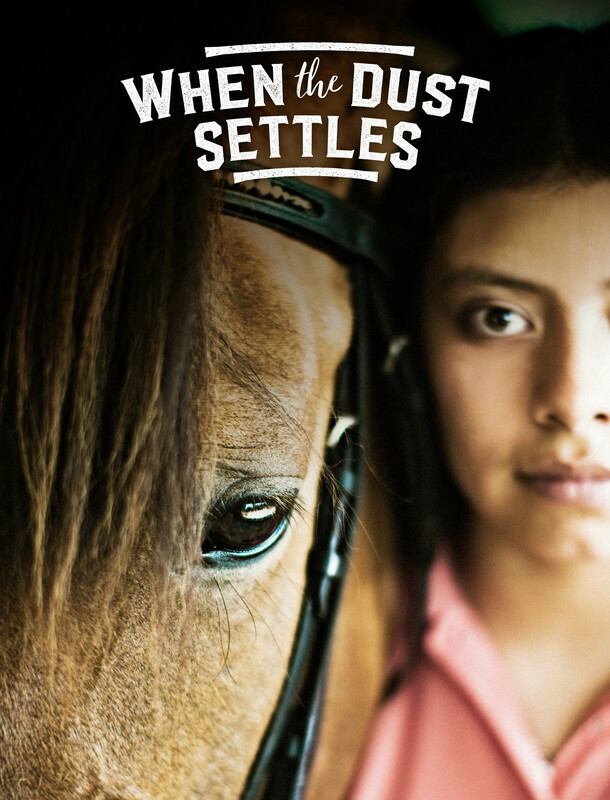 The EQUUS Film Festival, presented by Mustang Leadership Partners, LLC, will take place over the two weeks of the World Equine Expo™ airing inspiring, heart-warming, and informative films screened throughout each day. The festival will showcase films from 12:00p.m. to 5:00p.m. every hour, and then Featured Films will air each night from 6:00p.m. to 8:30p.m. The Coca-Cola® Stage will also host an EQUUS Filmmakers Q&A each morning at 10:00a.m. and again at 5:00p.m. to discuss films aired throughout the day and featured films set to play each evening. View the schedule of featured films and descriptions for each week below. 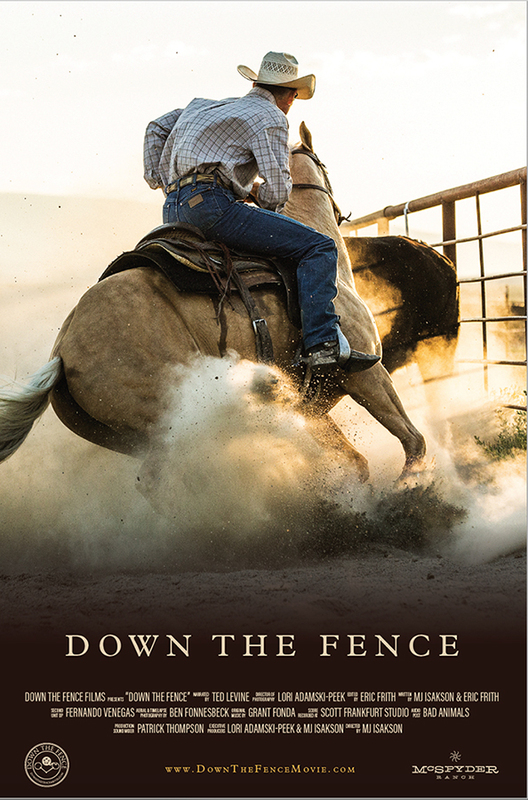 Wed. Sept. 12th: “Down the Fence” – 94 min – Each year, horse trainers journey to Reno, Nevada to compete for one of the most challenging equestrian championships in the world. For the trainers, winning means putting food on the table and hay in the barn for another year. For the world, it means another year of survival for a culture at risk and the continued refinement of the art of vaquero-style horsemanship that dates back to the first Spanish missions in California. Fri. Sept. 14th: “The Story of Totilas” – 83 min – The most-talked about horse in the world came, saw and conquered the Dressage world with his rider Edward Gal. Together they won the heart of millions all over the world, winning three titles at the FEI World Equestrian Games™ and setting multiple record scores in Kentucky in 2010. Sat. Sept. 15th: “Healing with Horses” – 17 min- A documentary about a local mission with a global message, using vaulting horses to help with the healing process. Sun. 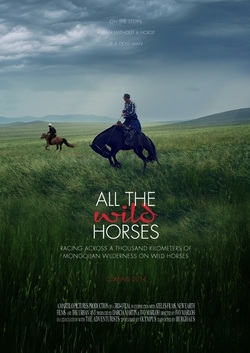 Sept. 16th: “All the Wild Horses” – 90 min – “All The Wild Horses” follows five international riders from the USA, Canada, South Africa, Ireland and the UK as they compete in the Mongol Derby horse race in Mongolia. This multi-horse, multi-station race over a 1000 kilometers of Mongolian steppe is the longest and toughest horse race on the planet. The riders are out on their own and navigate with GPS from horse station to horse station, where they change their horses every 40 kilometers. Tues. Sept. 18th: “The Horse Dancer” – 114 min – When one of America’s most promising young gymnasts, Samantha Wick, is cut from the Olympic team, she decides to follow her dreams of horseback riding by joining a girl’s horse camp. With financial troubles threatening to shut the camp down, Samantha uses her gymnastic prowess to start an equestrian vaulting (“horse-dancing”) team to raise money and save the camp! Wed. Sept. 19th: “Li’L Herc A Horse” – 7 min – “Li’l Herc”: The Power of Kindness shares how Li’l Herc helps ‘Marie’ heal from a difficult time in her life due to a lifelong illness. Because she is unable to run and play or even go to school, Marie feels “different” than other kids, and worries things may never change for her. “Li’l Herc” is based on Hercules, the real-life Lusitano bay colt. Li’l Herc is brought into Marie’s life by Frida to help Marie overcome her sadness and frustration. Thurs. 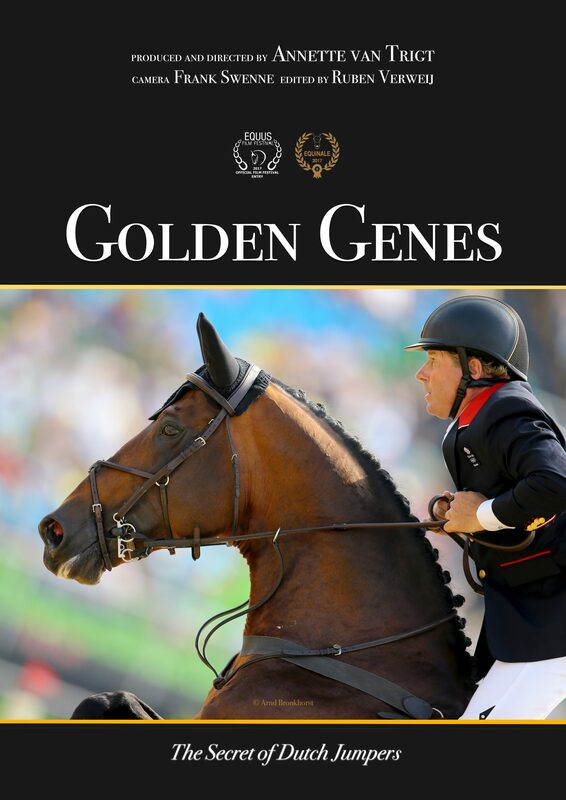 Sept. 20th: “Golden Genes” – 53 min – Show jumping horses bred in the Netherlands are some of the best in the world. It is no coincidence that foreign riders won gold and silver medals in the Olympic Games of 2008 on Dutch horses. This is big business and passionate breeders have everything they need available in the Netherlands. Fri. Sept. 21st: “Harry & Snowman” – 84 min – Dutch immigrant, Harry deLeyer, journeyed to the United States after World War II and developed a transformative relationship with a broken-down Amish plow horse he rescued off a slaughter truck bound for the glue factory. Harry paid 80 dollars for the horse and named him Snowman. 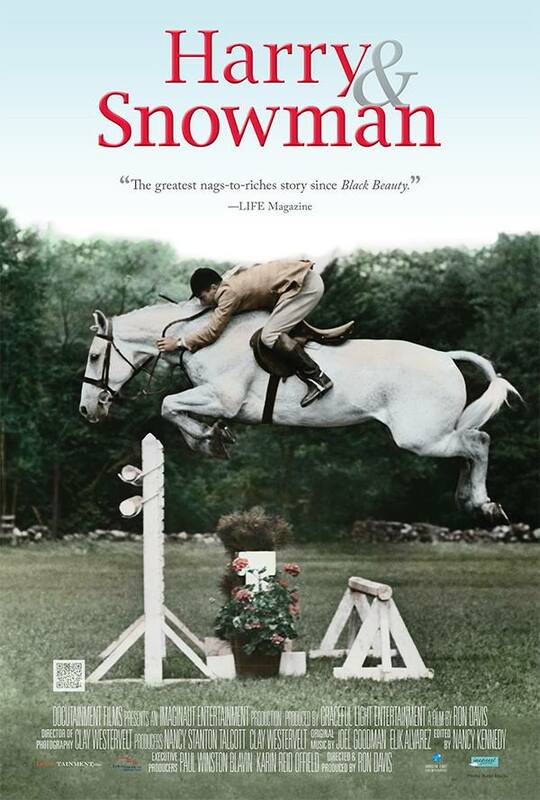 In less than two years, Harry & Snowman went on to win the triple crown of show jumping, beating the nation’s blue bloods. They became famous and traveled around the world together. 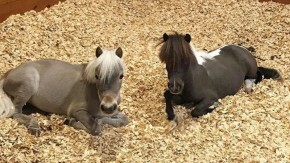 Their chance meeting at a Pennsylvania horse auction saved them both and crafted a friendship that lasted a lifetime. Eighty-six-year-old Harry tells their Cinderella love story firsthand, as he continues to train on today’s show jumping circuit. Sat. Sept. 22nd: “The Caravan” – 110 min – An inside look aboard The Caravan where adventurers grapple with route-finding, mother nature & group dynamics in an epic horse- drawn experience across America. 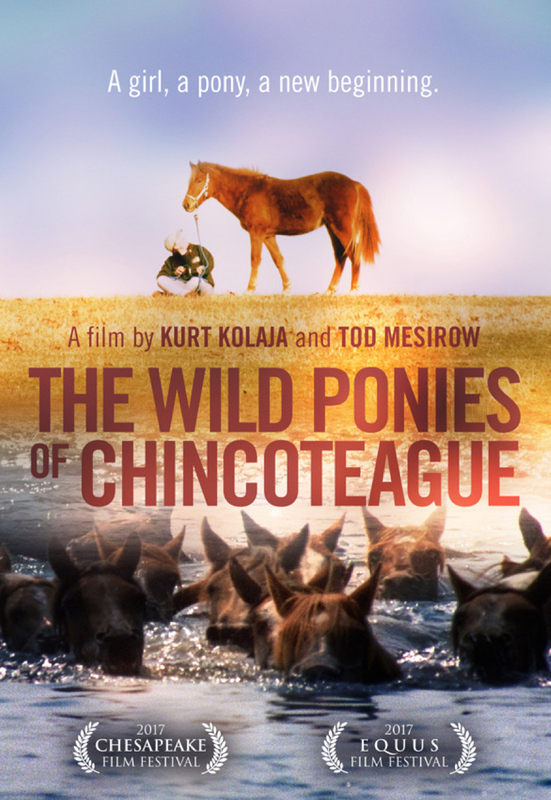 The film follows carriage drivers & horse riders who alter their lives for a five-month pilgrimage. Aged from 11 to 80 they travel from California to Florida over 2,500 miles. Gerard Paagman leads the group with his team of Friesian horses. For more information and descriptions on all of the EQUUS Films and Featured Films, click here. For media information and inquiries, please contact media@tryonweg.com. Tryon International Equestrian Center at Tryon Resort, host of the FEI World Equestrian Games™ Tryon 2018, one of the world’s premier equestrian lifestyle destinations, with first-class facilities for all eight FEI disciplines. From carousel to competition, the mission of Tryon Resort is to celebrate the magic of the horse, grow equestrian sport, and increase access to this majestic animal. Tryon Resort is a spring, summer and fall haven for equestrian competitors and enthusiasts, and a year-round destination for connoisseurs of diverse cuisine and shopping, lodging getaways, and family entertainment. Learn more at www.Tryon.com. The FEI World Equestrian Games™, held every four years in the middle of the summer Olympic cycle, is the property of the Fédération Equestre Internationale (FEI), the world governing body for horse sport recognised by the International Olympic Committee (IOC). It is one of the biggest events on the global sporting calendar, combining World Championships in the Olympic disciplines of Jumping, Dressage and Eventing, the Paralympic discipline of Para-Equestrian Dressage, as well as Driving, Endurance, Vaulting and Reining.